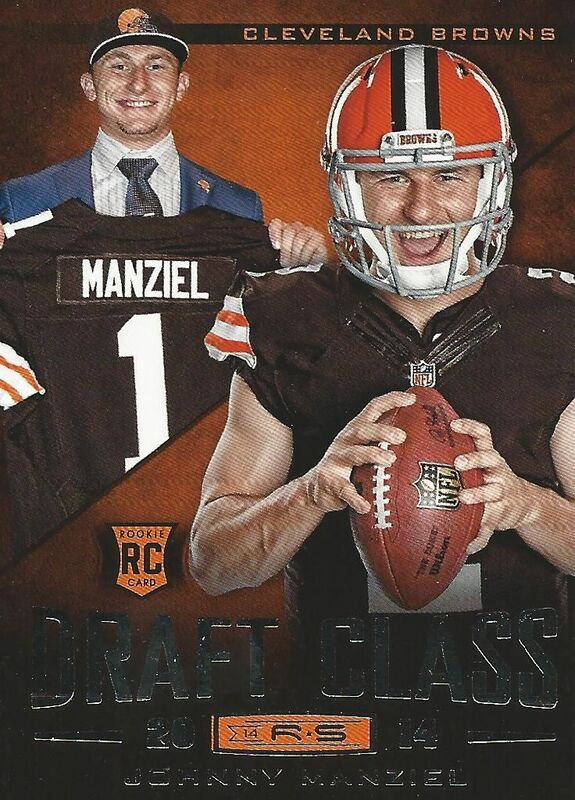 If you're looking for a fun, moderate cost football product to enjoy... look no further than the new 2014 Panini Rookies & Stars. This early football release will give collectors a ton of great rookie content as well as plenty of veteran presence on cards too. As with many recent Panini products, Panini has really put the kitchen sink into the packs - there's just a ton of stuff to see and find! For a mid-level product, the base cards are surprisingly refined looking. The cards are bold, but clean. 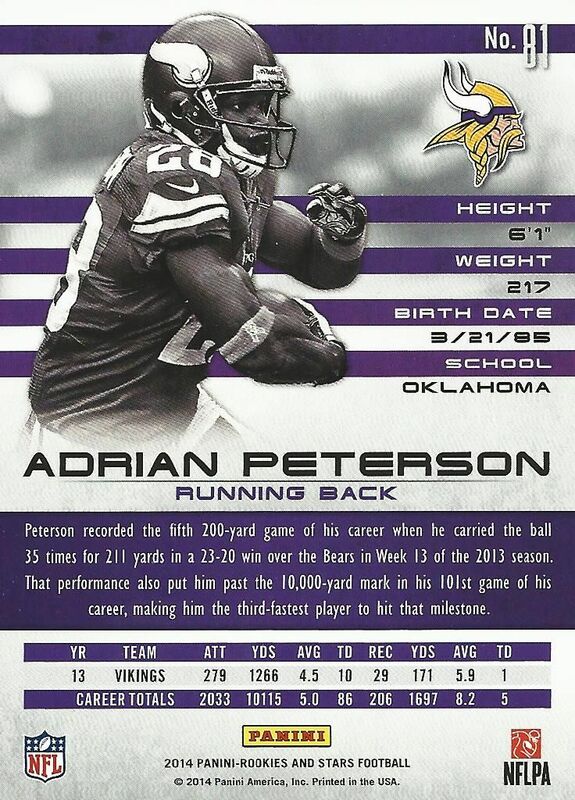 The front of the card shows the player on a darkened background representing their team's color. This creates a beautiful effect that really pulls the card together nicely. 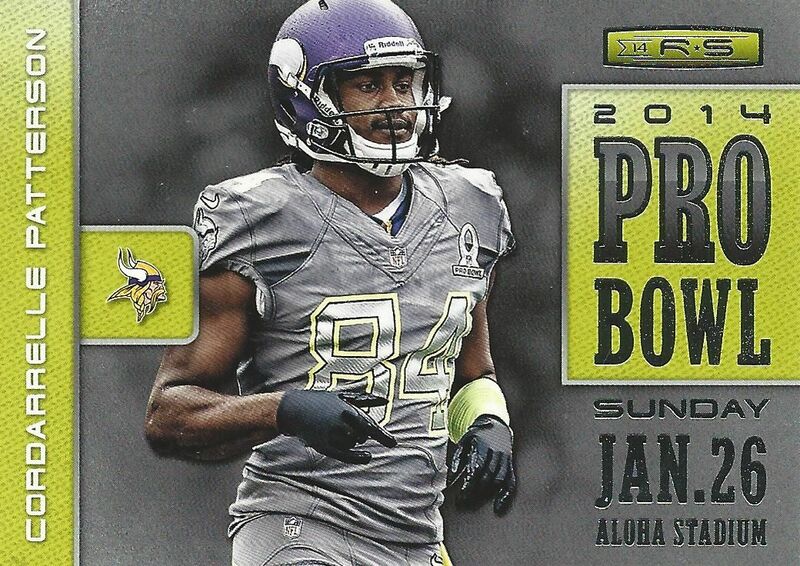 Foil is used sparingly at the bottom of the card for the players name, the brand logo, and on the corners. It has been done just right. Products like this usually have base cards that are a bit more 'kid friendly', but these hit the sweet spot for all collectors. The back of the base card really impressed me. Having the player photo in front of the graphic bars representing the vital statistics was a great idea. The player looks almost like he's popping out of the card. The entire back is slickly done using team colors, muted grey tones, and clean graphics. 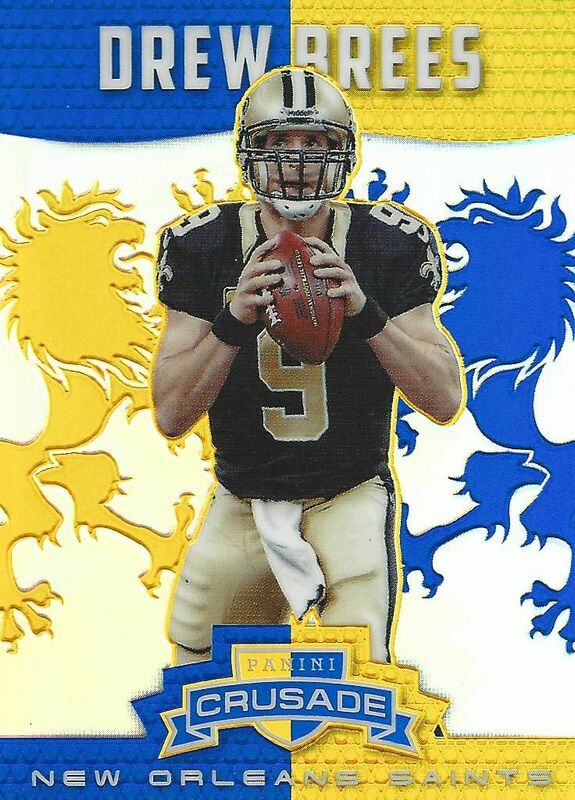 I'm very impressed with the effort Panini put into the back design. Rookie cards in this set have a completely different design than the standard base cards, which is great. So many sets simply throw the RC logo on the base card without much else. 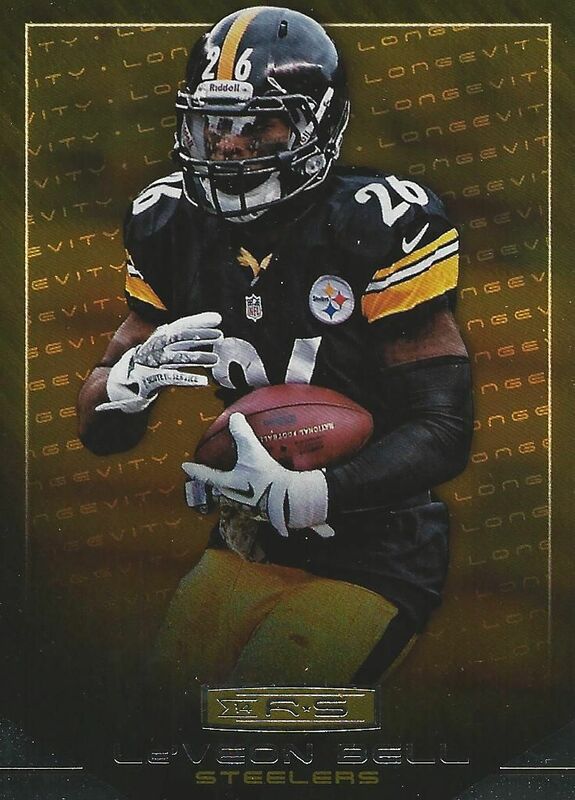 The rookie cards have a brighter look to them with a background that shows some movement. The player's name is very large on the card and in foil. This is not my favorite looking rookie card, but it's good to see something fresh. When you open up a box of Rookies & Stars you will definitely get your money's worth in terms of different kinds of cards. Autographs and memorabilia hits are among the different inserts you can find. There's a little of everything for everyone when you buy Rookies & Stars. Longevity cards are parallels of the regular set of base cards. These cards are printed on thin foil board and have the word 'Longevity' in the background telling you exactly what it is. The most common Longevity cards are unnumbered, but there are plenty of parallel versions with rarities all the way to 1. 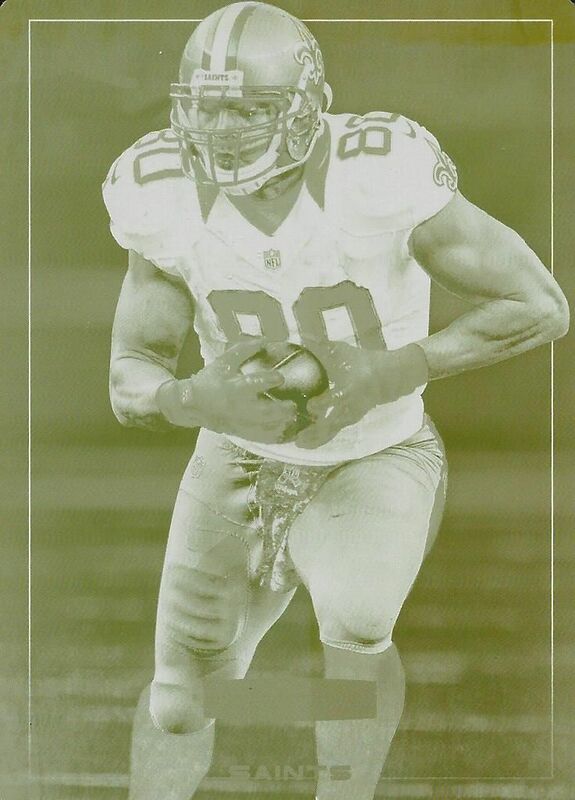 Speaking of being numbered to just 1, collectors can find printing plates like this one of Jimmy Graham I pulled from my box. This one is the yellow plate, but there are other colors available as well to complete the set. Draft Class inserts key in on the 'Rookies' aspect of Rookies & Stars. This insert set shows the early moments of the player getting drafted and holding up their draft jersey. There is also a second photo showing the player in their jersey doing an action. The back of the card lets you learn a little bit more about the player you just pulled. 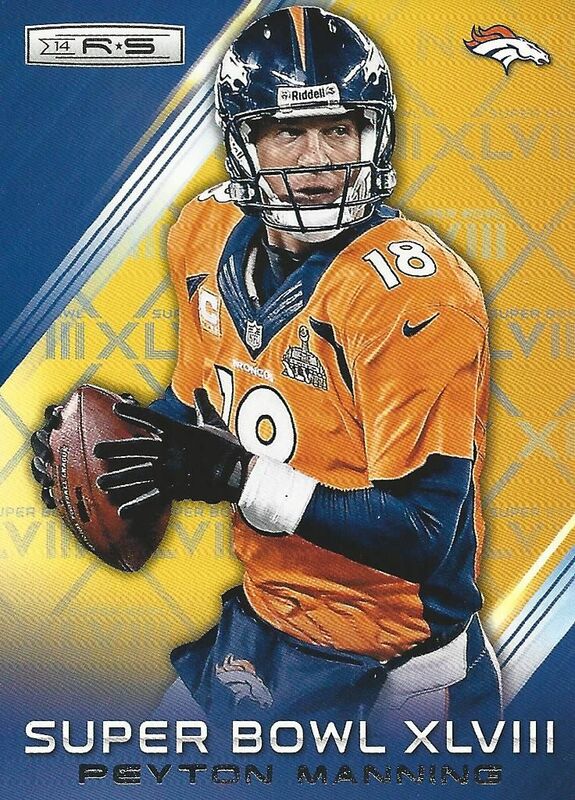 Super Bowl XLVIII gets a little insert set of its own in Rookies & Stars. This set will obviously feature players from both the Seahawks and Broncos - the two teams in the Super Bowl last year. The cards aren't especially well designed or nice, but I'm sure there will be fans out there who enjoy remembering last year's championship game - particularly the ones from Seattle. Peyton Manning (shown above) might want to forget it though. The Pro Bowl also gets a little shout out set this year. These cards have a lime green and grey look to them that pairs nicely. The card looks great with the foil highlighting it. All-Star type cards used to be very popular in the past, it's nice that there are still some of these cards being produced. 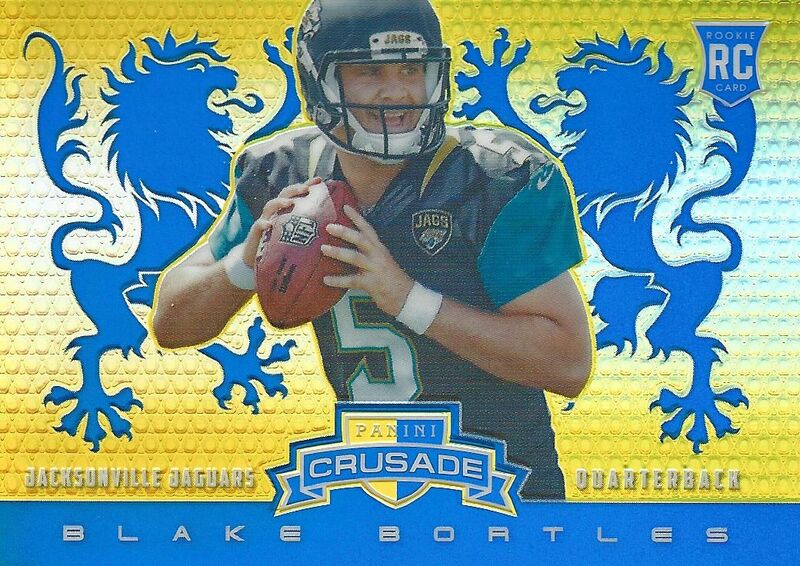 Crusade insert cards with different levels of rarity according to color can be found in packs of Rookies & Stars. These have been decently popular amongst collectors, so it's good to see them back. The cards are very refractive of the light that hits it making them fun to look at and enjoy. The rookie version of the Crusade inserts have a horizontal orientation. Panini decided to make a clear distinction between the veteran stars and the rookies in the Crusade inserts. 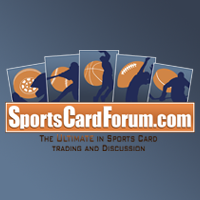 As with the veteran cards, you can try tracking down all the parallels of your favorite player in the set. 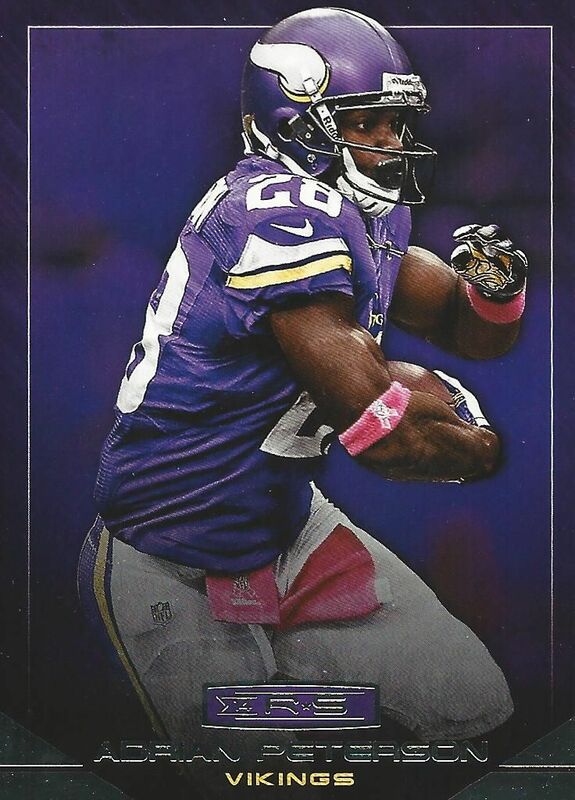 Above is a pretty standard jersey card that you might find when buying Rookies & Stars this year. These jersey cards feature a medium sized piece of jersey. The cards are decent looking, but nothing that really stands out. 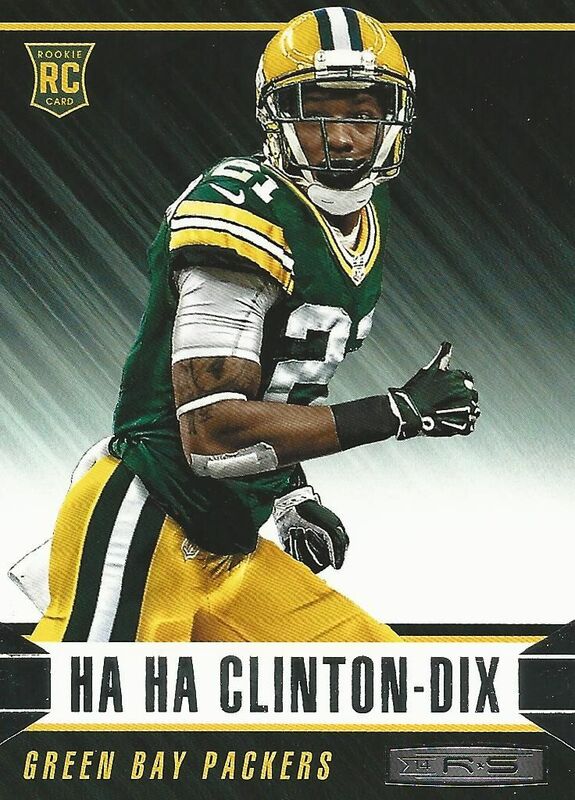 I actually think Panini could have utilized the space a little better on the card. These should be easy pick-ups on the secondary market if you want to get them. Parallel versions of these cards also exist with more premium materials in the window. Some autographs appear as parallel cards that you can find. 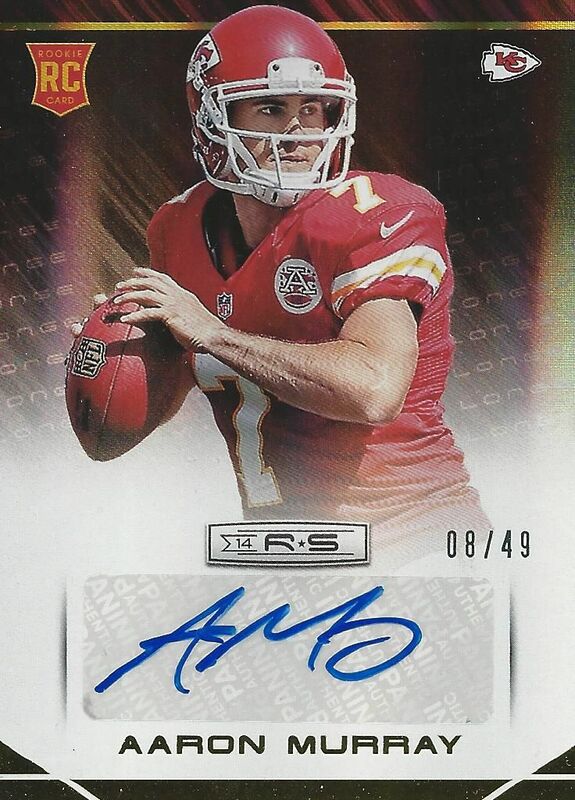 Here's an Aaron Murray sticker autograph numbered to 49. These cards look great even though they are on-sticker. The placement is done well, and the entire card shimmers nicely, including the sticker. In total I pulled 2 jersey cards and 2 autographs from my box of Rookies & Stars. Unfortunately, they were both in the same class. 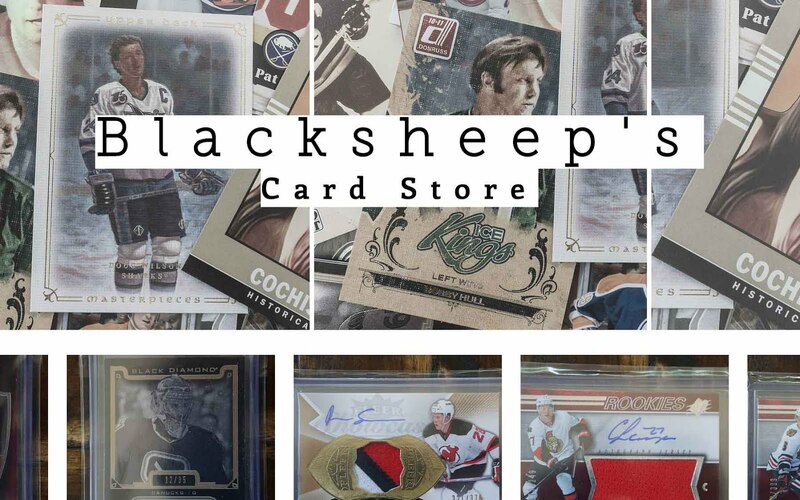 But there are actually quite a few different kinds of memorabilia and autographed cards to find in this product. You'll just have to get a box and find them! 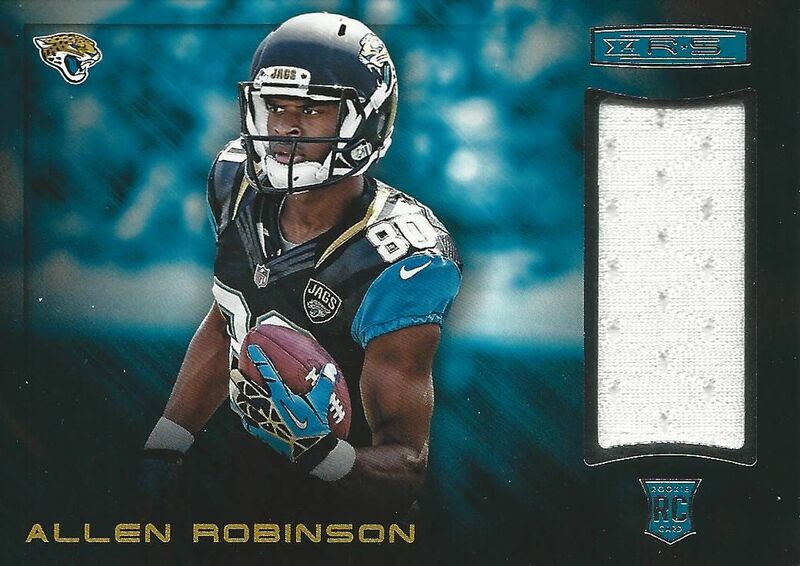 2014 Rookies & Stars is a fantastic product at a very reasonable price point. You can find boxes of it for well under one-hundred dollars. In these boxes you'll find this season's hottest rookies in the form of autographs, memorabilia, and inserts. I had a tremendous amount of fun opening up this box. There are plenty of cards to find in the packs, and there are some really cool inserts to enjoy. I would definitely recommend getting 2014 Rookies & Stars if you want to jump into the new football season with a bang. Great Box and Nice Review! + The rookie autographs looks great and have low-numbered variations! 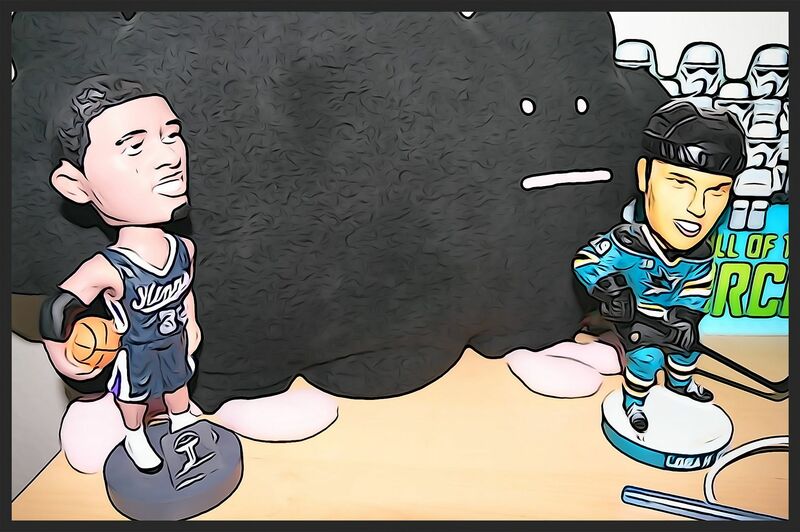 - The inserts doesn't feel exciting to me, and not even the jerseys. They just feel a bit too..boring. Looks like a very fun product for the price point. As always loaded with rookies with a cool base set to put together with only 3 base cards per pack. The aaron murray is one of the best hits of the box. jimmy graham is awesome too.